Dixie looks SO sorry. I am sure she will never do it again! Everyone gets excited about Thin Mints. oh just look at that face though!!!! LOL!!! No she Dint! She does look mortified, though. 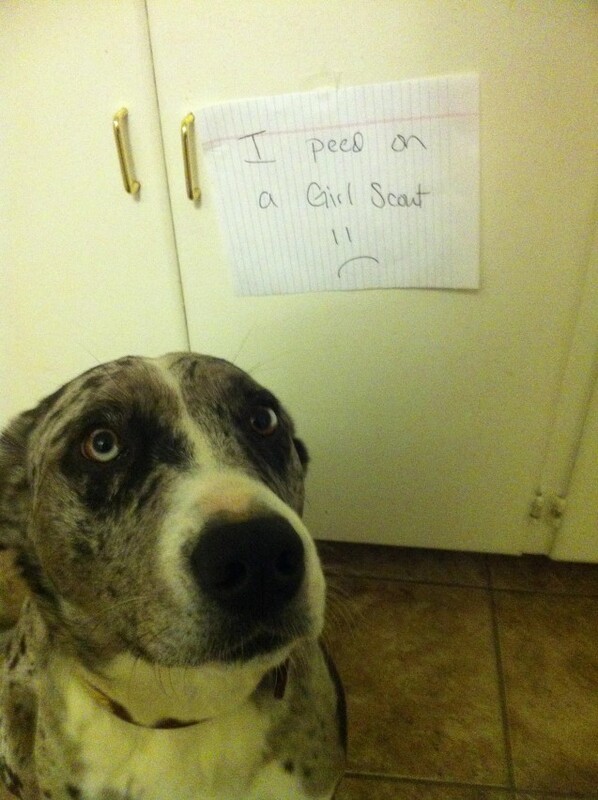 Poor dog & girl guide.he looks sorry. Ooops! Good girl not boy, sorry!